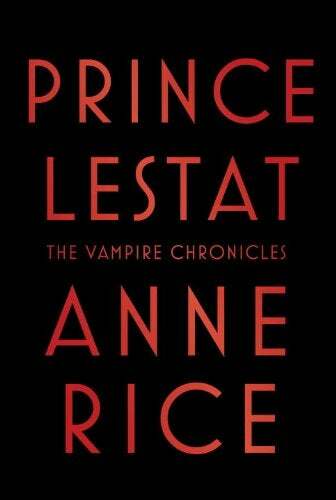 So I was in B&N tonight, and I almost picked up that new Anne Rice novel, Prince Lestat. I was bored and had a coupon and figured it might be a fun read over a cold, gloomy, goth-y weekend. I was never what you'd call a devotee of her work, but I enjoyed the core Vampire books as a teenager, as well as The Witching Hour, at least until I got to page 1100 and realized the novel was going to end on a massive cliffhanger. (No wonder she likes George R.R. Martin!) And the reviews have been pretty positive, particularly in light the critical reception of her recent output. But y'know, I'm not 17 anymore, and I'm not 26 either, which would have been the last time I finished one of her books (it was The Vampire Armand, around early 1999). And even though I was kinda curious to see what was up with Lestat and the fang gang, I just couldn't work up the urge to buy the book. For one, I didn't feel like playing wiki-catch-up with the series. But there are also a lot of other things I'd rather read, or I should read, and the truth is that I'm not even all that sentimental about those older books, or the periods of my life in which I read them. I might pick up the paperback next year, but I don't think I'm going to invest the money or time in a hardcover edition right now. I felt the same way when I learned that Clive Barker was returning to the universe of his early horror/fantasy fiction with The Scarlet Gospel, his first adult novel in over a decade, due out in May. (It's a sequel to both "The Hellbound Heart" and Everville, with Harry D'Amour versus the Cenobites.) It's been even longer since I last read Barker — almost 20 years — and while I enjoyed a lot of his older stuff, I don't feel particularly excited about the new book. I'm kinda interested, but it's not the sort of thing that triggers a whole lot of anticipation. It's the same even with writers I used to follow pretty regularly. There was a period of time from the late '80s up until the mid-'00s when I would buy almost every new Stephen King book in hardcover and read it straightaway. Ditto Dan Simmons, and, yes, even Dean Koontz. I enjoyed most of these books, even though very few of them seemed worth finishing in retrospect. Except for the occasional King, I don't buy any of these guys any more. And even then, the only late period King books I've read to completion in the last decade were Duma Key (it was awful) and The Wind Through The Keyhole (it was a Dark Tower book). I did reread 'Salem's Lot and Night Shift, though. I should probably clarify that the dominant emotion here isn't nostalgia. This isn't really a "can't go home again"-type scenario. I am a very nostalgic person, to the extent that I will buy the same favorite movies or albums or books if new editions come out, so that I can relive the experience of enjoying those selfsame works years ago. (I have more copies of Blade Runner, Alien, the complete fiction of H.P. Lovecraft, and Van Morrison albums than any healthy normal human being should ever own.) My relationship with writers like Rice and Barker is a lot more utilitarian. I enjoyed these authors in the past, and I just wonder if I'd get the same return on my investment today.